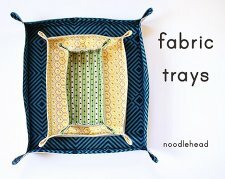 "I had made a tray earlier this year for my dad and I figured this would be a simple project to share! This is a great project to make to combine with a few other goodies for a hostess gift, a gift for your not-so-organized husband as a place for him to set his glasses and wallet and spare change, or for a special friend. Fill it with treats, magazines, recipes, anything works! 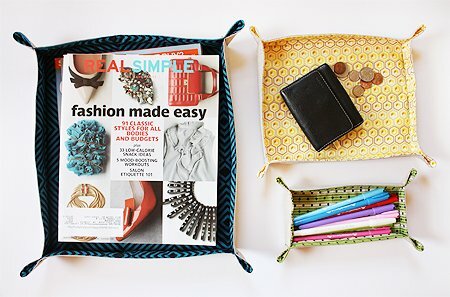 I've included dimensions to make three different sized fabric trays: pencil size (small), spare change size (medium), and magazine size (large). 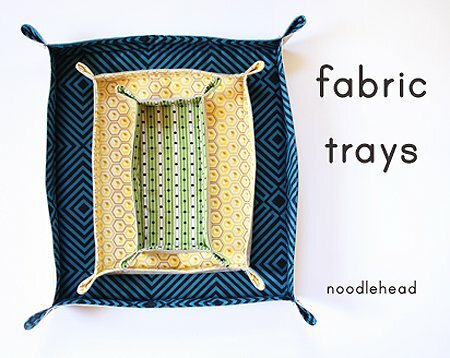 This is also a great scrap busting project, so dig into your scrap bin and pull out your faves. Enjoy!"